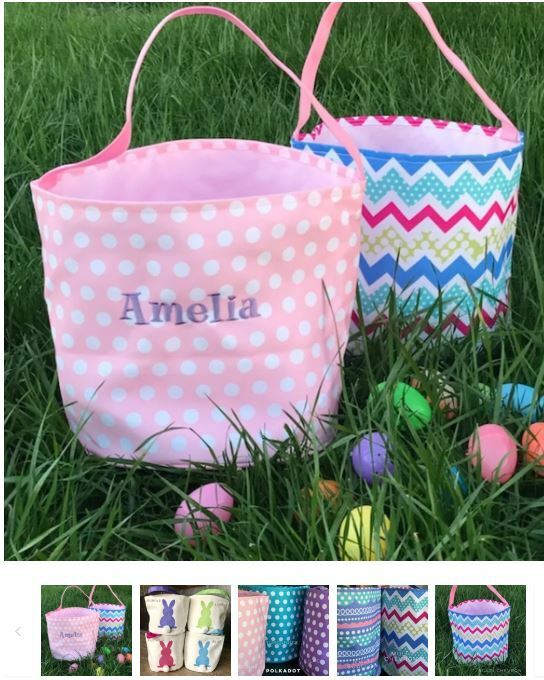 Check out these adorable Personalized Easter Buckets on sale for $14.99 (Retail $28). You will love our adorable Easter buckets! Ready to be personalized with the names of your favorite egg hunters:) Choose from 6 fonts, lots of thread colors and 9 super fun designs. Collapsible for easy storage and sturdy enough to use year after year! These buckets aren’t JUST for Easter; great for toting toys and for travel too.